Um, not being picky, but which King Athelstan do you mean? King of Anglo-Saxon (924-927)/English (927-939); king of East Anglia (but unlikely as he died c.840); Athelstan Half-King (of East Anglia 930-956); king of Sussex (again, unlikely, muccch tooo early); Athelstan of Kent–who did actually defeat a Viking fleet, although he weighs in at c850 and wasn’t really a king . . . or one not here mentioned? 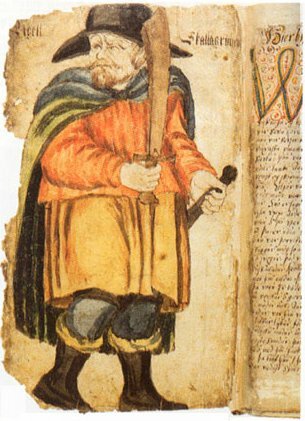 Though the mention of Harald Fairhair does kinda fix Egil’s flourishing floruit as c850-932. So Athelstan is with the King of the English or the king who’s really only a ‘sub, of Kent. Go ahead, be picky, CP. It’s educational. This is the first of the lot, the English king. The saga mistakenly continues his reign into that of Eirik Blood-axe in Jorvik, which puts that part of the story into the 940s or 950s. 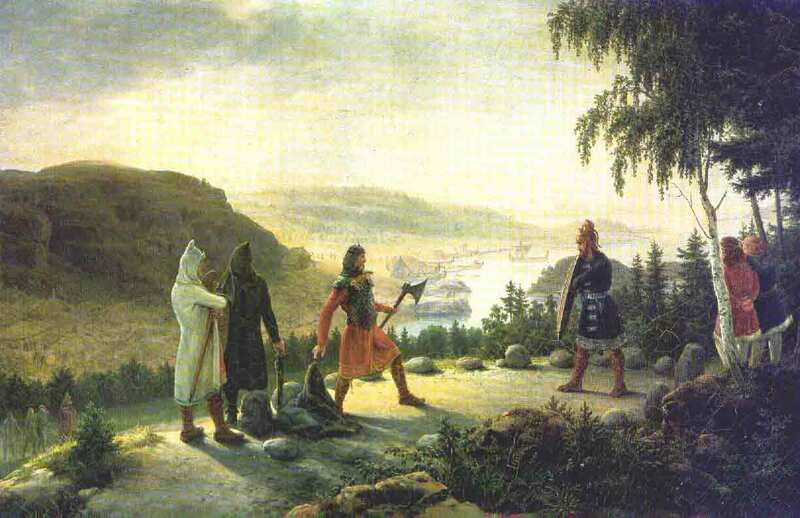 Harald Fairhair is more Egil’s father’s and grandfather’s contemporary, and the saga actually begins with them. Rough guess for Egil’s life is 905-980. Thank you for reading and pointing that out. I’ve never an objection to someone bringing more information to bear on a subject! 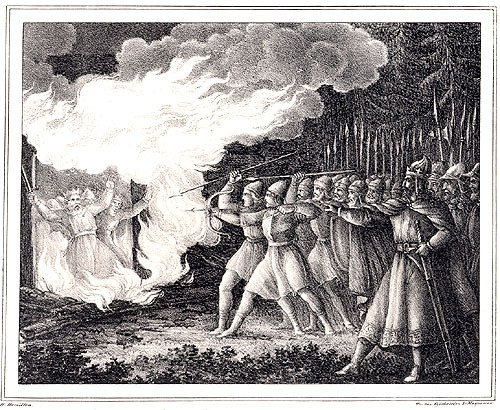 I’d not been able to find a picture of Egil burning a house, so had borrowed this one for illustration. I will revise the caption to include your information. That will improve the post!